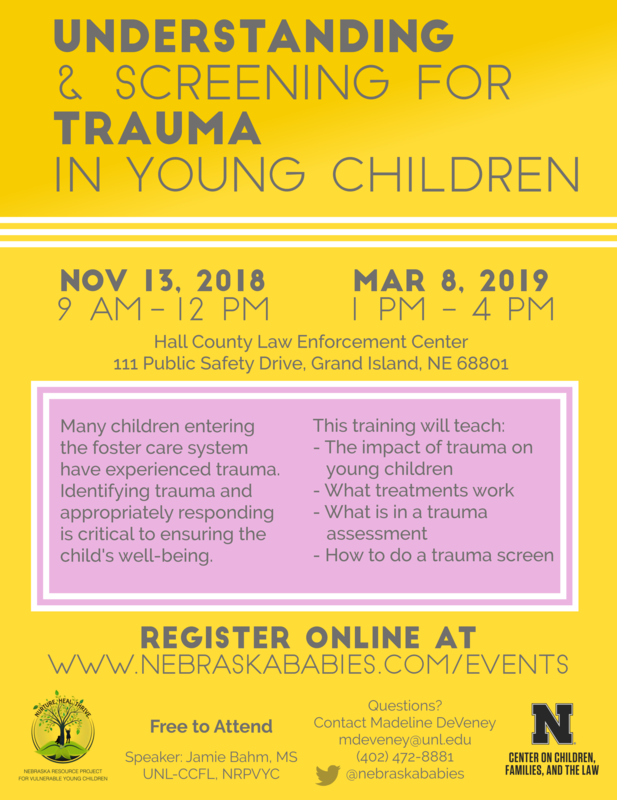 Many children entering the foster care system have experienced trauma. Identifying trauma & appropriately responding is critical to ensuring the child's well-being. The two trainings will be held on November 13, 2018 and March 8, 2019.